The high-performance everyday sports car. 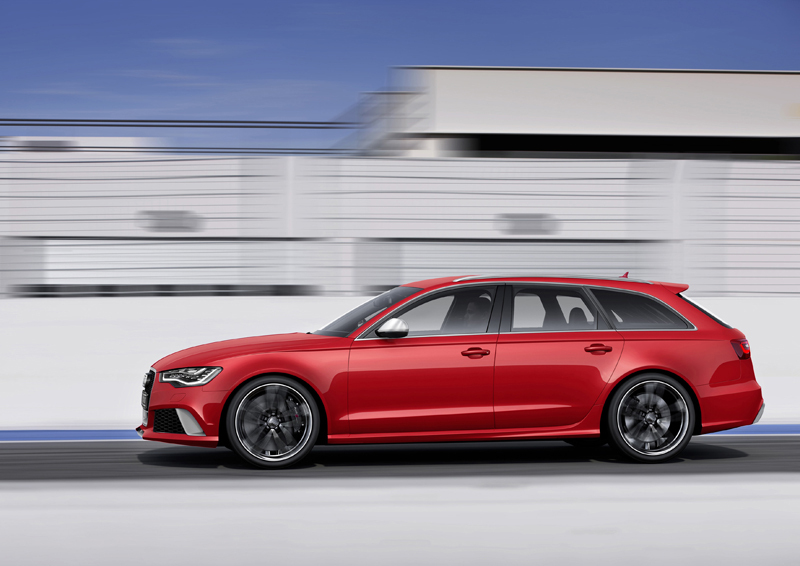 Last fall, Audi unveiled its new S6 and S6 Avant models packed with the new twin-turbocharged 4.0-liter V-8 engine that was powerful, fast, and dynamic – and that was just the S-model. 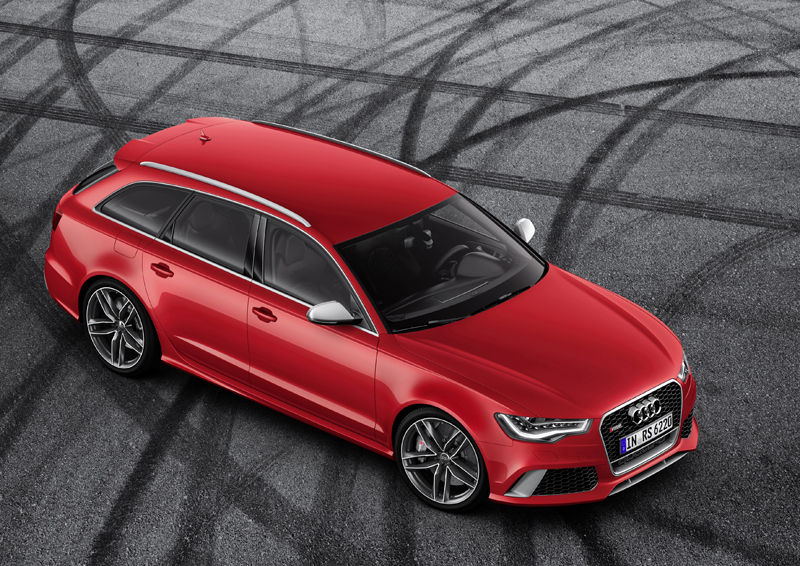 Audi has just unveiled its new RS 6 Avant and it is just oozing with power and performance, and arguably takes the title of ‘Best Looking Wagon’ with ease. 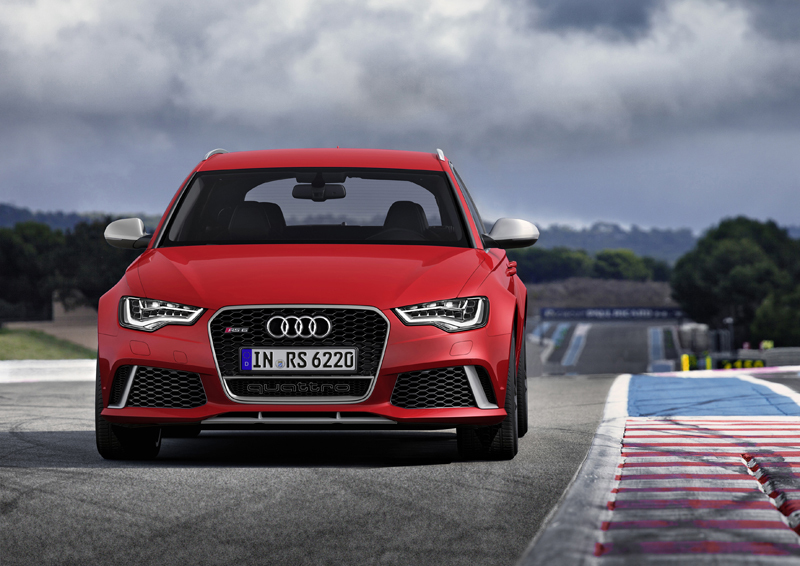 In the previous C6-generation Audi RS 6, things were – at the time – a bit mind-boggling with a twin-turbocharged 5.0-liter V-10 engine that produced 571 horsepower and 479 lb-ft. of torque. It guzzled fuel and threw down monstrous power. This time around, things are a bit on the smaller scale in terms of size but still high on power. 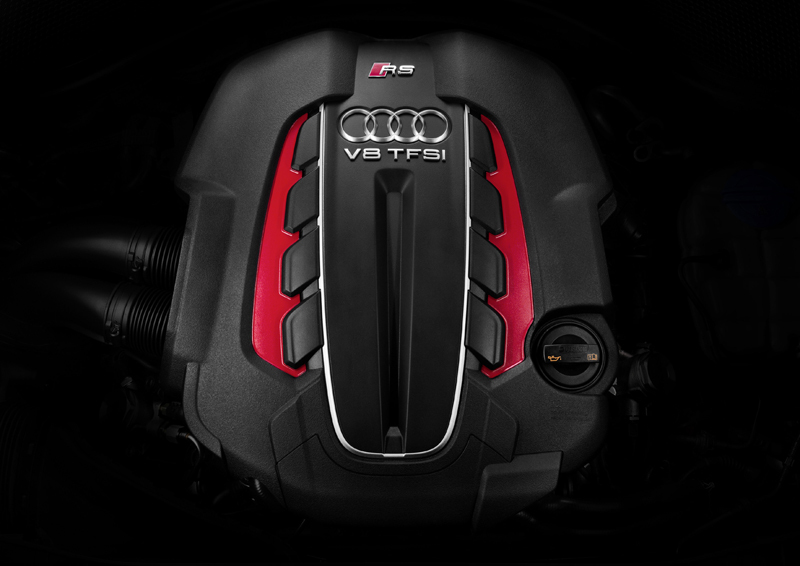 The all-new 4.0-liter twin-turbocharged V-8 in the Audi RS 6 Avant produces 560 horsepower from 5,700 to 6,700 RPM and 516 lb-ft. of torque from 1,750 to 5,500 RPM. While this is a few ponies short of the previous generation, the power curve is much broader and also returns a respectable 24 mpg (US mpg), roughly 40-percent better than the previous model thanks to a standard start/stop system, thermal engine management, and cylinder on demand (COD) system that allows the Avant to run on just four cylinders under lighter loads. The exhaust system comes with two switchable valve flaps to alter the sound volume and note as standard or customers can opt for the more dynamic sport exhaust system. 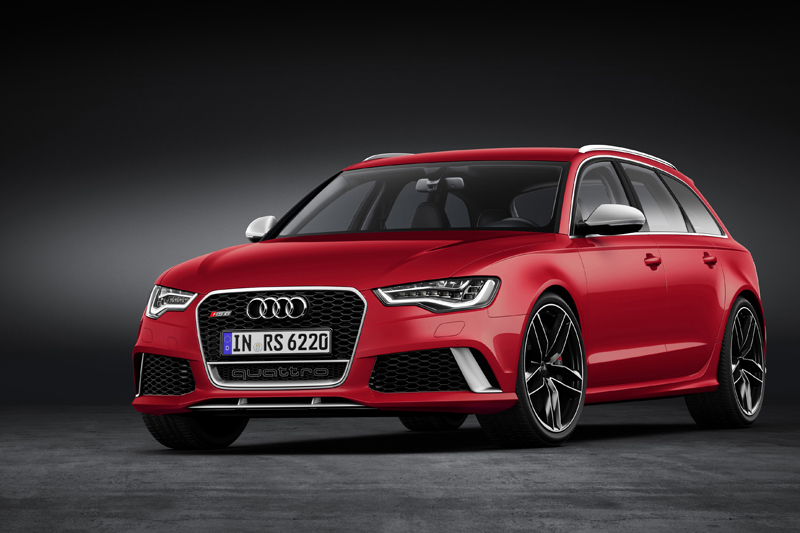 The Audi RS 6 Avant also utilizes a sportier version of the eight-speed Tiptronic transmission that sends all 560 horses through an advanced Quattro all-wheel drive system. The first seven gears are tightly spaced while the final, eighth gear is taller for better fuel economy while cruising. Two automatic modes are available or drivers can manually shift gears via two steering wheel-mounted paddles. The Quattro all-wheel drive system features torque vectoring for more dynamic handling and a self-locking center differential along with an optional sport differential at the rear axle. All of this, coupled with a body with 20-percent aluminum construction and high-strength steel that weighs 220.46 lbs. less than the previous-generation model equates to some pretty astonishing accelerating figures. The 0-62 mph sprint takes just 3.9 seconds and top speed is set at an electronically-limited 155 mph. Customers that opt for the Dynamic package will see their top speed increased to 179.98 mph, while customers with the optional Dynamic Plus package will have a 189.52 mph top speed. 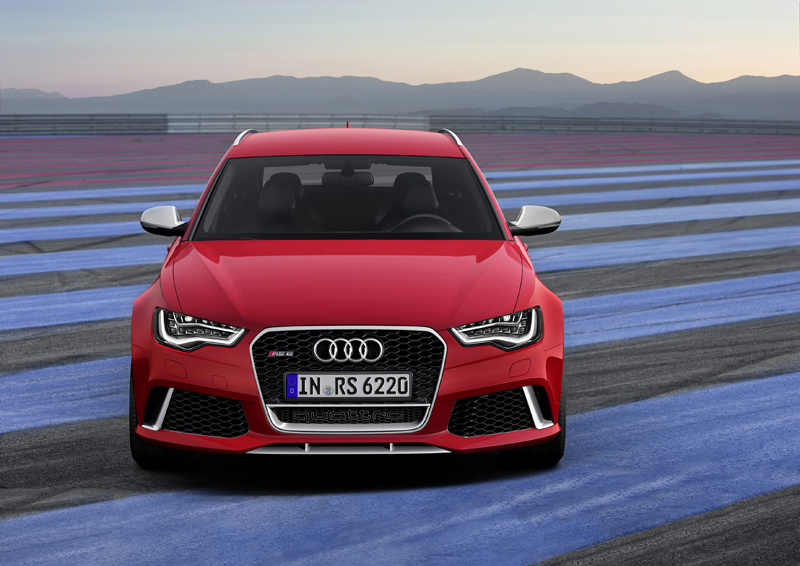 Just like the rest of the RS-models from Audi, the chassis has been fine-tuned for dynamic performance and handling. 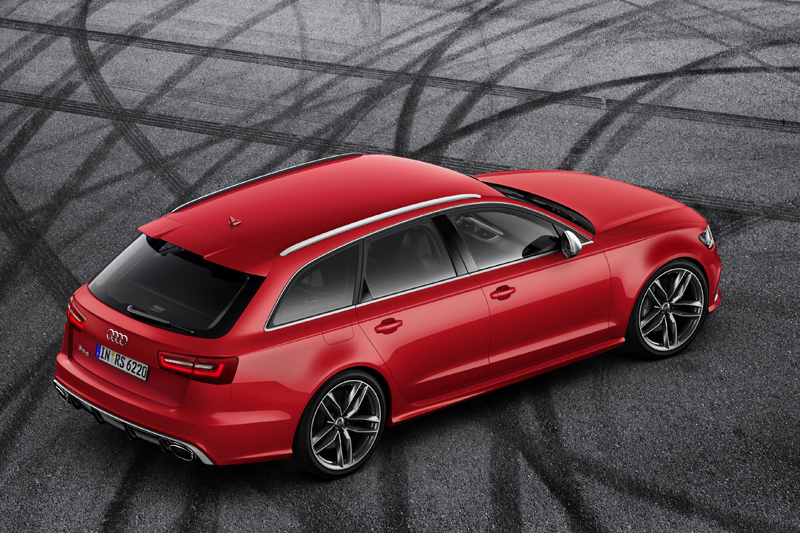 An RS 6 adaptive air suspension comes standard and automatically lowers ride height by 20 mm while working in conjunction with dampers that automatically adjust to road conditions. As an option, customers can order a sport suspension plus with Dynamic Ride Control (DRC) with steel springs and three-way adjustable shock absorbers that offer more precise handling. Stopping comes from standard 390 mm weight-saving wave-design discs at the front with black six-piston calipers with optional red-painted calipers available as well. For the best braking performance, 420 mm carbon fiber-ceramic brakes with anthracite grey-painted calipers can be fitted. 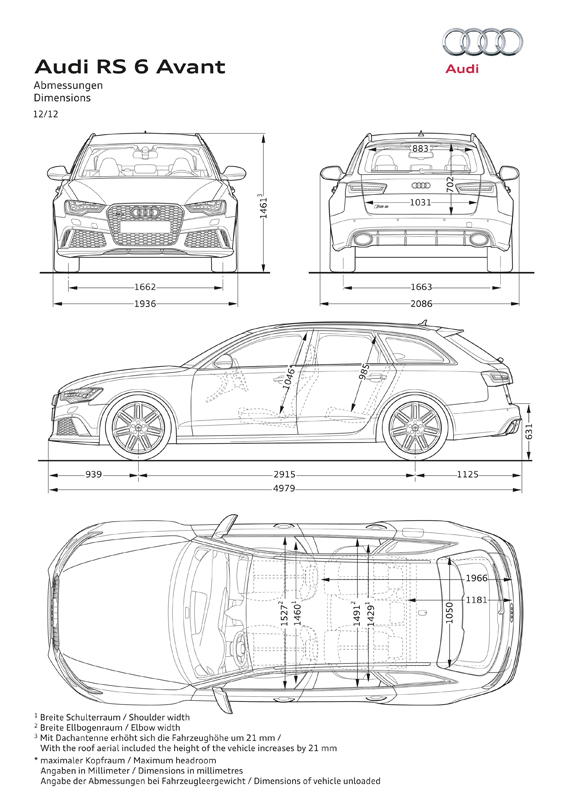 The standard Audi RS 6 Avant will come with 20-inch forged wheels with a seven twin-spoke design and high-gloss finish or three 21-inch cast wheels are available as an option. 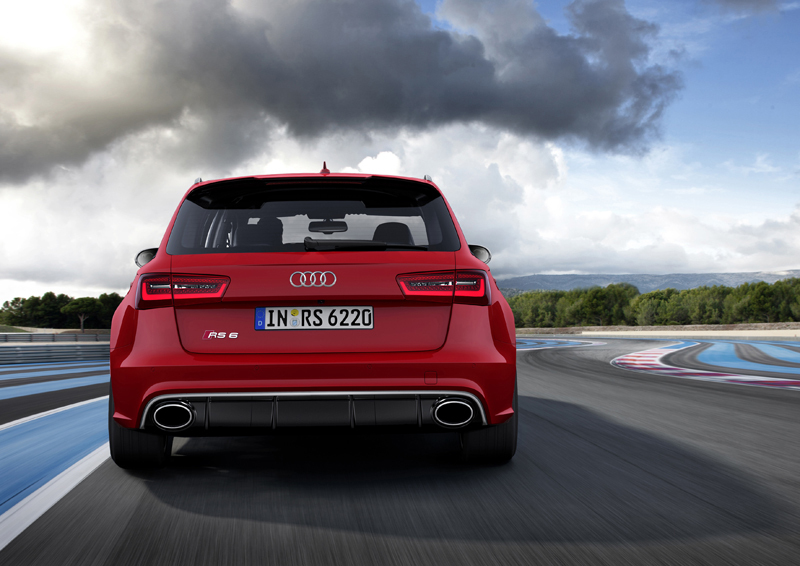 Audi has given the RS 6 Avant a sportier, more athletic look with an array of model-specific body work. Matte aluminum and high-gloss black components in the grille, bumpers, spoilers, and fenders help distinguish the wagon as the top-of-the-line power-packed model. The body work includes new bumpers, front and rear spoilers, wider fenders and side skirts, and rear diffuser with integrated oval tailpipes. Audi also offers a Matte Aluminum or Carbon appearance packages that distinguish the car even further, and can be combined with nine different exterior colors including a special Daytona Grey matte paint. 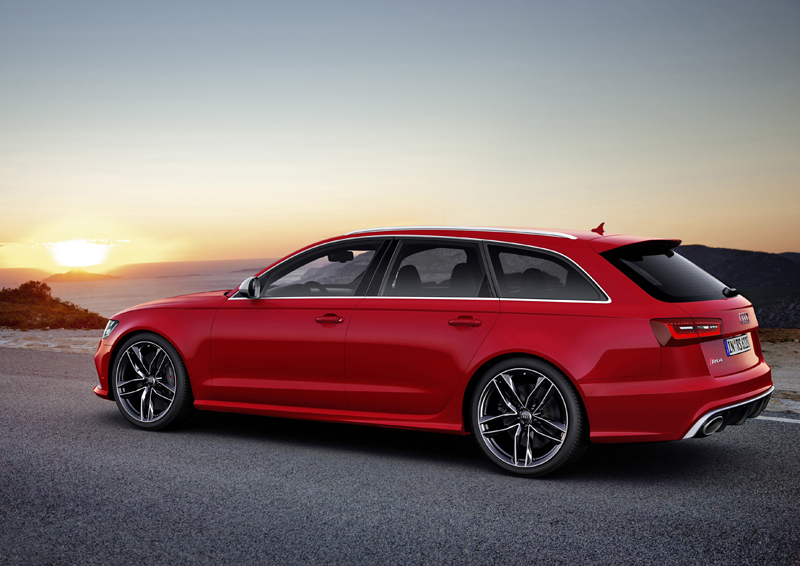 Business and pleasure is the name of the game inside the Audi RS 6 Avant. Two front RS sport seats with large bolsters hug driver and passenger up front with black alcantara and leather with center sections in diamond-quilting or optional honeycomb-quilted Valcona leather. Two sport-molded rear seats come standard or customers can choose a three-person bench seat as an option. Carbon fiber dominates the interior trim with six other materials available as an option; the pedals, footrest, and MMI-controls are made from aluminum-look material; and illuminated door entry sills greet occupants. The driver is treated to a three-spoke multifunction steering wheel, gauges with black faces, white dials and red needles; and tachometer, MMI, and Driver Information System (DIS) with RS-logos. 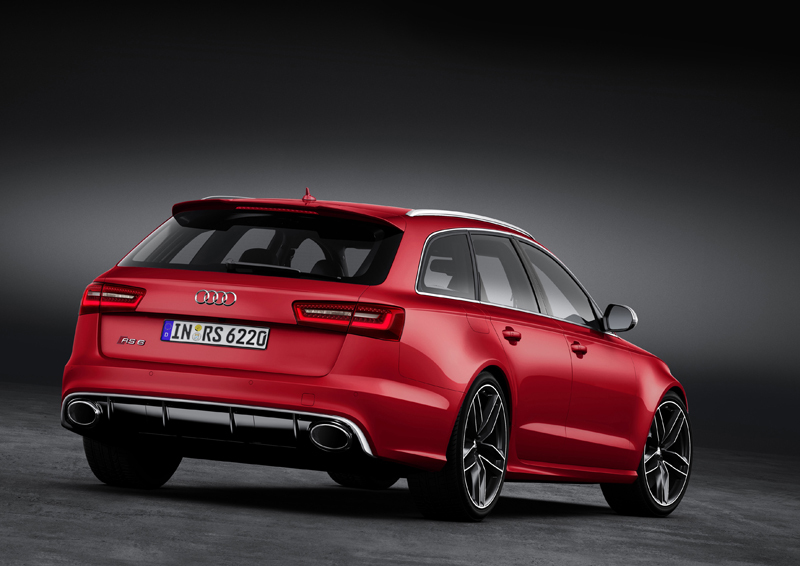 The new Audi RS 6 Avant will be available in 2013 in European markets but it is highly unlikely that it will ever reach US shores, so we’re left to admire it from afar. Pricing has not been released, but you can bet it will cost a pretty penny. Optional Suspension: Sport Suspension Plus with Dynamic Ride Control (DRC) w/steel springs and three-way adjustable shocks. 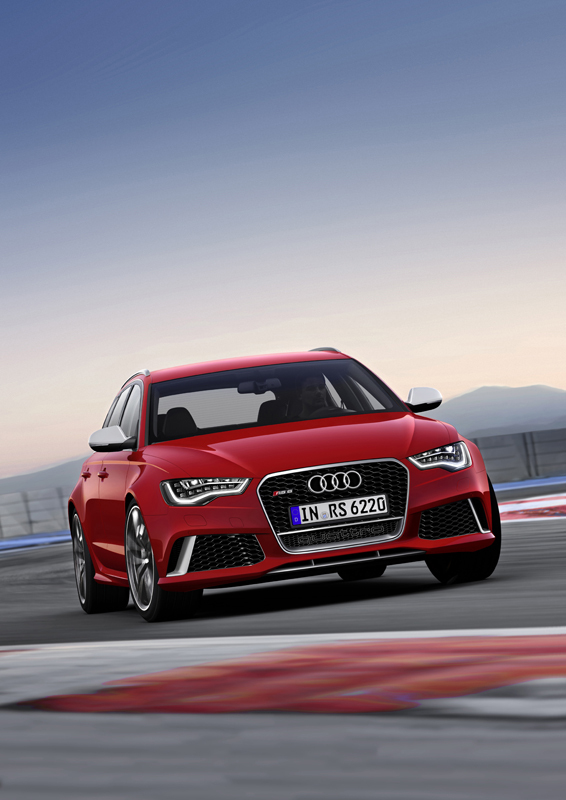 Is the new Audi RS 6 Avant your favorite Audi model currently? Leave a comment and let us know!